I thought I would share a few of my current favorite design blogs. The Contemporist posts stunning photos of new contemporary architecture and design products from around the world. It looks even better on an iPad. 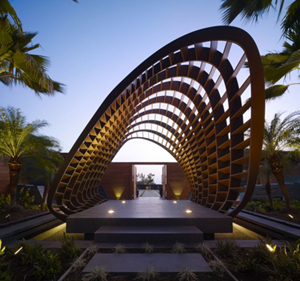 I particularly love this post on the Kona Residence by Belzberg Architects. The Design Observer was founded in October 2003 by Michael Bierut, William Drenttel, Jessica Helfand and Rick Poynor and has grown into a major repository of current information and commentary on anything and everything design. You could spend hours here musing over everything from “Hallowed Ground, Worldly City: Ground Zero and the Struggle for Lower Manhattan” to “Dogs and Their Designers”. After you have spent some time exploring more pithy reading on design and the world, head over to Unhappy Hipsters for a little humor. Think of the pairing of a New Yorker Cartoon caption with photos from Dwell magazine. A little sample below. 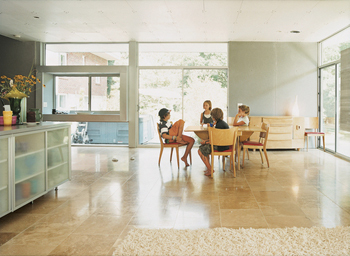 “The children conferred: How to tell their parents that the hideous travertine floor had made them social outcasts?